After shuttering its Lexar memory card business in June 2017, Micron sold the brand just 3 months later to the Chinese flash storage company Longsys and now Lexar cards are back from the grave. But Lexar is still waiting for US government approval, and the brand’s warranty process is at a standstill because of it. A few months ago, photographer Nick Stern purchased a couple of Lexar SD memory cards and then discovered them to be faulty when his camera and computer would no longer detect them. When Stern contacted Lexar, he was told that the company is only issuing refunds and not replacements right now due to changes going on behind the scenes. “We are currently experiencing difficulties with fulfilling warranty obligations,” the tech support rep told Stern. “This is due to a large amount of changes to the systems we utilize for replacements and refunds. Stern then provided a PayPal email address and was told that his refund was on the way. After days of no followup, Stern contacted Lexar again and was told that Lexar is currently not able to issue any refunds until it receives United States government approval. “Due to the sensitive nature of the CFIUS requirements, we must have official review and approval from the U.S. Government before we can move forward,” the rep replied. “Once this review is complete, we will begin issuing refunds to customers right away. CFIUS stands for Committee on Foreign Investment in the United States, and it’s an inter-agency committee that reviews national security implications of foreign investments in US companies. So if you find faulty new Lexar cards on your hands, you may want to seek help from the retail outlet that sold the cards to you until Lexar’s business is given the green light by the government. If you opened up Instagram today, you may have been surprised to find that the vertical scrolling method of browsing content had been replaced with a completely different horizontal tap-based scroll. You weren’t alone, and the outcry was immediate. The good news is the switch was an accident and isn’t a permanent change to Instagram. Instead of swiping up and down on your screen as usual to move through content, the new means of navigation involves tapping on the right side of your screen to move to the next post. Social media was instantly flooded with users reacting negatively to the abrupt change. I was having a good day until I opened Instagram and saw the new update ? Hey, @instagram… I never want to sideways-scroll through my timeline. Ever. Please stop testing this "feature" on my account. Thanks. What the heck @instagram ?!! Have you been drinking?!! Instagram head Adam Mosseri quickly took to Twitter and explained that while the horizontal tap navigation was indeed a feature Instagram had developed, it was only supposed to be a small scale test among a tiny subset of users, something that Instagram regularly does to test new ideas for features and design changes. But instead of being released to the small group of users, Instagram accidentally pushed it out broadly to a huge percentage of its community. That was supposed to be a very small test that went broad by accident. Should be fixed now. If you're still seeing it simply restart the app. Happy holidays! ? Due to a bug, some users saw a change to the way their feed appears today. We quickly fixed the issue and feed is back to normal. We apologize for any confusion. So if you were upset at the change, you can breathe a sigh of relief. Just restart your app and you’ll see things returned back to the way things were. Wildlife photographers sometimes set up camera traps to capture images of elusive animals. Former NASA engineer Mark Rober recently spent months creating a glitter-bomb fart-spray camera trap to capture images of elusive package thieves. As the 11-minute video above shows, the results were glorious. Rober, who worked for NASA Jet Propulsion Laboratory (JPL) for 9 years and whose work is currently being driven around by the Curiosity rover on Mars, says he was inspired to do something after a couple was caught on his security camera stealing a package from his doorstep. He then spent half a year designing, building, and testing a special bait box to catch these thieves in the act. What he ended up creating was a box that, from the outside, looks like an Apple Home Pod. But once opened, it disperses a large payload of glitter into the area, pumps nasty-smelling fart spray, and starts capturing 360-degree video using four smartphone cameras. The four smartphone camera setup inside the camera trap. Rober testing the 360-degree view captured by the four cameras. The LTE-enabled smartphones automatically beam the footage for storage in the cloud, ensuring that Rober will always recover the video, and GPS built into the camera trap allows Rober to track down and recover the box for reuse — it’s inevitably discarded by thieves after the fart spray hits their nose. A security camera still frame of one of the thieves stealing the camera trap bait package. The camera trap capturing one of the thieves getting blasted by fart spray. Rober’s efforts have paid off big time: his video has already been viewed over 9 million times less than a day after being published, and it’s the #1 trending video across all of YouTube. “This might be my Magnum Opus,” Rober writes in the video’s description. After releasing firmware v2.0 for the a7 III and a7R III in October, Sony abruptly took down the update earlier this month citing a bug that would cause photographers to lose RAW photos they’ve captured. Sony has since fixed the issue and today released firmware v2.10 as a replacement. If you updated your Sony a7 III or a7R III during the two months between October and December 2018 and your camera is currently running firmware v2.0, you’ll want to jump to firmware v2.10 as quickly as possible. If you’re running firmware v2.0, you should upgrade to v2.1 now. Sony discovered that in rare cases with cameras running v2.0, data loss could occur when shooting with an SD card that has already been used multiple times. After capturing a RAW photo, affected cameras could stop functioning while trying to write the file to the memory card, causing the permanent loss of the photo. To make sure you don’t run into this bug if you’re running firmware v2.0, update to v2.1 as soon as you can. You can download the a7 III update for Windows and Mac and the a7R III update for Windows and Mac. 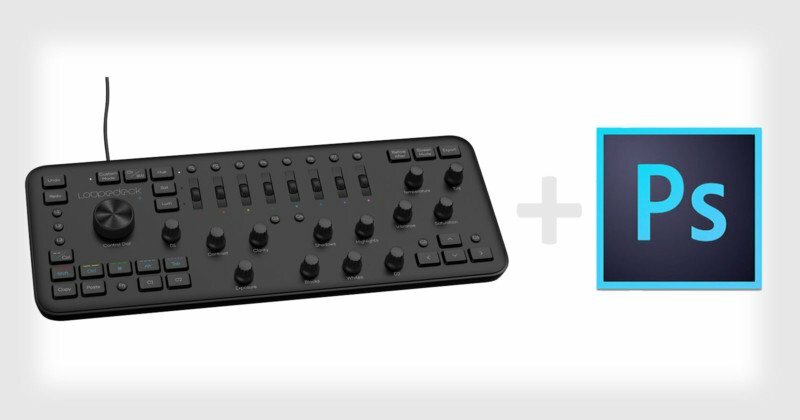 Loupedeck today announced its first integration with Adobe Photoshop, allowing photographers to use the editing console in the popular app. The latest Loupedeck+ console was unveiled back in June with integration with Skylum’s Aurora HDR and beta integration with Capture One. Now Photoshop joins the growing list of compatible apps. Loupedeck is available through the company’s online store and retailers such as B&H for $249. Facebook revealed today that it discovered a software bug that exposed the unpublished photos of up to 6.8 million users. The bug was in the photo API and affected users who have granted permissions to third-party apps to access their photos. For 12 days, between September 13th and 25th of this year, some of those apps may have had a much broader range of access than the users or Facebook had granted. Instead of only being able to “see” photos that have been publicly shared on a user’s timeline, those apps could see even photos that were uploaded to Facebook but not yet published. “For example, if someone uploads a photo to Facebook but doesn’t finish posting it – maybe because they’ve lost reception or walked into a meeting – we store a copy of that photo so the person has it when they come back to the app to complete their post,” Facebook explains. The apps also had access to photos posted in Facebook Stories and in the Facebook Marketplace. Facebook currently believes the bug affected up to 6.8 million users and 1,500 third-party apps built by 876 developers. If you may have been affected, Facebook will present you with a notification in its app along with a list of apps that may have had incorrect access to your photos. The company is also working with app developers to figure out which users might have been impacted by the bug and to delete any photos that may have been obtained. “We’re sorry this happened,” Facebook says. While the Canon EF and Nikon F lens mount ecosystems are teeming with 3rd-party lenses, the new Canon R and Nikon Z full-frame mirrorless lens mounts completely lacked 3rd-party glass… until now. The Chinese brand KIPON has announced that it’s the first out of the gate. KIPON’s new ELEGANT series of lenses will be the world’s first 3rd-party full-frame lenses designed specifically for the Canon R mount and Nikon Z mount. There are 5 initial lenses on the ELEGANT roster: the 24mm f/2.4 for $499, 35mm f/2.4 for $468, 50mm f/2.4 for $325, 75mm f/2.4 for $355, and 90mm f/2.4 for $386. All five lenses are set to start shipping before the end of December 2018. Keep your eye on the company’s Amazon store if you’d like to pick one or more of these lenses up right when they become available. Canon officially joined the full-frame mirrorless camera wars back in September with its new EOS R, but one of the glaring omissions from the features list was in-body image stabilization (IBIS). But that may soon change: Canon will reportedly be including IBIS in the next EOS R camera. Canon Rumors is hearing from a “pretty good source” that 5-axis IBIS will be in the upcoming EOS R series body. Canon has long stuck with keeping its image stabilization (IS) system in its lenses as competitors such as Nikon and Sony have placed 3-axis and 5-axis IBIS systems (respectively) in their mirrorless cameras. An illustration of Sony’s 5-axis IBIS system. “We feel that in-lens IS is the optimum system for image stabilization,” Canon UK product consultant David Parry told Digital Camera World back in September. “With an in-body IS system you are creating something that needs to work over lots of different types of lenses and different lens groups, so you don’t get a dedicated system for that particular lens. On the contrary, it seems Canon has been looking at in-body IS and doesn’t intend to let this feature gap remain for long as rivals continue to polish their technologies. One of the big challenges will be figuring out how to make a new IBIS system play along nicely with Canon’s existing IS-capable lenses. “We’re not sure how this is going to work with in-lens stabilization, but if Canon could figure out a way to make the systems work together to improve performance, that would be a big step forward,” Canon Rumors says. Here’s some big news in Europe that hasn’t made a big splash in the US and has largely flown under our radar: the very day after Photokina, Tetenal announced that it’s in financial turmoil. Tetenal is one of the largest photochemical businesses in the world and produces chemicals for brands like Ilford and Kodak. Due to some bad business practices from its suppliers, Tetenal is in a state of insolvency. The film resurgence is real, but it’s still in a very fragile state. Tetenal’s collapse could potentially decimate the film photography industry. Marwan has been in direct contact with Tetenal and the information he provided in the interview is direct from Tetenal and not hearsay. Tetenal is in a state of insolvency. What does this mean? It’s not quite a bankruptcy, but the company is in a state in which it doesn’t have the cash flow to pay the bills. How the heck did this happen? Well, unfortunately, suppliers were unable to deliver on their goods in a timely manner and Tetenal’s business customers pulled their orders. Like a bad date, Tetenal was dumped with a dinner tab it couldn’t pay. In the past, when these situations occurred, businesses would get emergency loans to pay back once their inventory sold. But these are different times. Financial institutions are more reluctant to act in these situations and getting the funds are difficult. It’s very risky with very little guarantee the strategy is successful for both Tetenal and the banks. What is the result? Similar to a bankruptcy, Tetenal’s management is going through a restructuring process and looking for new ways to generate revenue. Traditionally, Tetenal’s business model was B2B (Business to Business) by converting raw materials into chemicals that were then sold to large photo businesses. This is changing and Tetenal has an ace up its sleeve. It’s looking into expanding its direct-to-consumer business model, thus opening up the opportunity in delivering new ideas and resurrecting some old ideas. Many forget that Tetenal has been in the photochemical business for 170 years. It has many recipes for developing processes long-forgotten that could fit today’s market. For example, in the days in which the press needed to get negatives to the news outlets quickly, they would use a portable ‘press kit’ to quickly develop the film. As the popularity of digital cameras quickly replaced the need for film cameras, these tablets were no longer needed and quickly forgotten. As Tetenal is thinking of new ideas, it has realized that this product could possibly return in a new market: home developing. With successful Kickstarters for at-home developing like LAB-BOX, there is a stronger market for at-home developing. Using these at-home products and a simplified way for mixing chemicals, Tetenal may be positioned in quickly bringing back products once thought were no longer needed. But this is just one idea. Tetenal wants to hear from the film community. It’s interested in crowdsourcing ideas for bringing innovation to its business-to-consumer (B2C) strategy. It’s asking the community to share our thoughts, and we can do that by using the hashtag #savetetenal or contacting Tetenal directly on their social media accounts on Facebook, Instagram, and Twitter). Film photography is still a very fragile ecosystem. There are so few players still in the film photography business that those that remain really depend on each other. A domino effect could certainly take place if any of them collapsed. If one business as critical as Tetenal were to fail, we could see a global shortage in film processing chemicals and be left with rolls and rolls of latent images potentially facing the same demise as Kodachrome. About the author: Bill Manning is the co-host of Studio C-41, a podcast about film photography. You can also connect with Studio C-41 on Facebook, Twitter, and Instagram. This article was also published here.